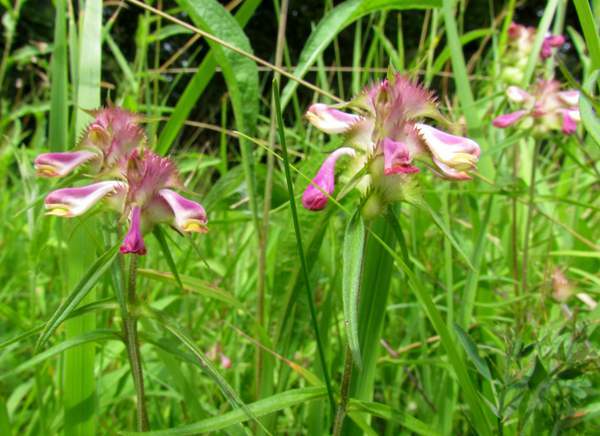 This lovely wildflower is found in grassland and is semi-parasitic on other plants. It is now very rare in the UK, being confined to East Anglia. This annual plant has densely-packed flower heads with toothed bracts which are deep rose-purple in colour. The flowers are purple and yellow. Despite its glorious colouring it is an inconspicuous plant that is hard to spot among summer grasses. A colony of Melampyrum cristatum. Because it is an annual plant the numbers that occur each year may vary considerably. 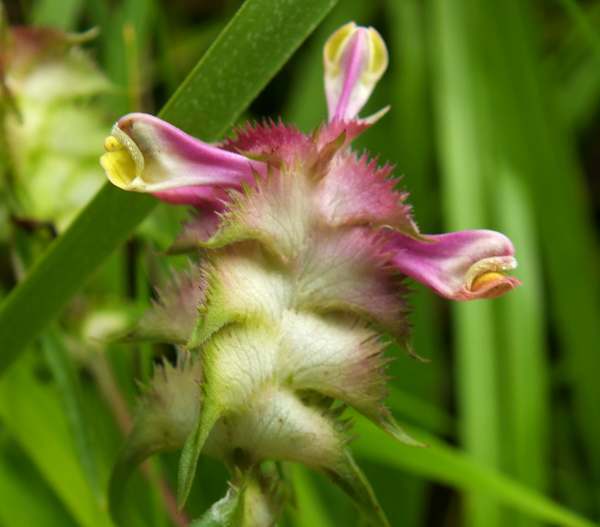 Crested Cow-wheat does best in open ancient woodland rides but also grows on a few roadside verges. 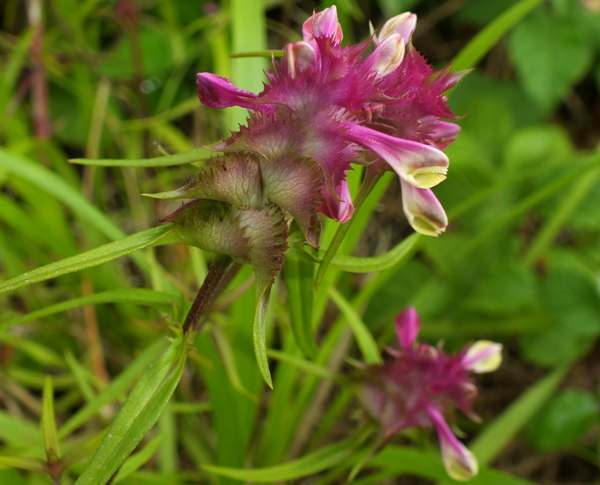 Other Cow-wheats that flower in Britain and Europe include Common cow-wheat Melampyrum pratense, Field Cow-wheat Melampyrum arvense, Melampyrum scardicum and Melampyrum nemerosum. The plant grows to around 50cm in height and flowers during July and August. The specimens shown on this page where photographed in Monks Wood Nature Reserve in mid July. Monks Wood is an ancient lowland woodland which has a history dating back around 900 years. It is managed by Natural England.